Here you can find real spy gear used by real investigators to crack cases. There's no kid's stuff here, just genuine spy gear that's used by private investigators, detectives, surveillance operatives, and law enforcement officers in everyday investigation work. Spy gear equipment has become very popular now that they're readily available to buy online, or in spy shops. These gadgets are extremely useful, being used for spying and covert surveillance purposes, documenting irrefutable evidence. Learn about hidden spy cameras, spy watches, covert recording devices and the BEST real spy gadgets and surveillance equipment on the market, with our articles, reviews and news. This USB Keylogger records all keystrokes and everything typed on a USB keyboard. Absolutely no software is required. It plugs in-between the keyboard and PC and is invisible to the PC! Secure your most private information in this covert coin, a place where no one would ever find it! Once hidden in the hollow coin it can't be opened without the supplied opening device. This night vision monocular not only let's you see in the dark but records video and photos in the dark with it's infrared illuminator enabling you to observe the target in complete darkness. The hidden book safe, made of solid steel, is disguised as a well-known novel. Store your valuables in the hollow book and lock-em up. The perfect spy gear item disguised as a pen. Place it in your suit jacket and record with high definition video. It's the perfectly hidden spy camera pen. The real spy watch has a small pin-hole camera built-in to covertly record audio and video. With in-built storage it's the perfect spy on the wrist. Record audio, video, or take still photos with this hidden keychain spy camera. Appearing to be a standard vehicle remote no one would supect it's actually recording video and taking snapshots. Become expert in photographing and videoing people in tough situations with this complete guide to clandestine photography. It's the perfect guide to brush up on surveillance photograhy skills. The ultimate guide and reference book for the surveillance operative. 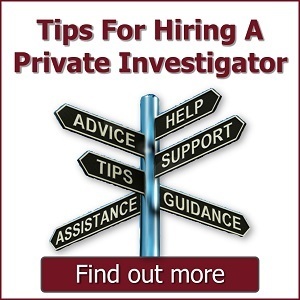 Learn how to carry out covert surveillance. Perfect for anyone wanting to learn how to spy on people without being spotted. The real-time covert spy tracking device is perfect for tracking people, assets, or vehicles. The compact GPS spy tracker allows you to track anyone or anything with pinpoint accuracy. This is a real working clock with hidden pinhole spy camera ready to record full HD video. With geat features, including motion detection, the spy clock can be used for the home or office. Place this hidden spy camera disguised as a real book/folder on a bookshelf or office table. This spy-book gadget has motion detection and night vision as well as other smart spying features.